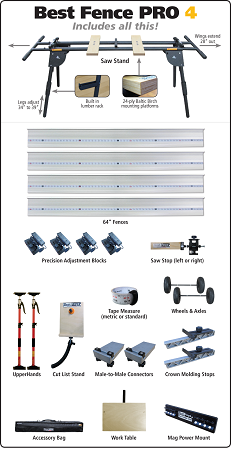 The Best Fence PRO system was designed from the ground up to give you shop level accuracy in the field. This highly modular system is easy to set up, transport and allow you to dial in your saw for exact cuts every single time. Please specify on order if you would like a metric/standard or standard tape installed on your Best Fence.